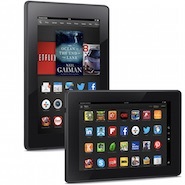 Amazon.com, Inc. (NASDAQ:AMZN) and News Corp’s (NASDAQ:NWS,NASDAQ:NWSA) HarperCollins have reached an agreement. The deal between Amazon and HarperCollins will last for multiple years, but an exact time wasn’t announced. AMZN refused to comment on the matter and HarperCollins only said that its books will continue to be available in digital and print format through the service, reports The New York Times. The multi-year deal between Amazon and HarperCollins will allow the publisher to set its own prices for books. However, there will be financial benefits for it if it chooses to keep prices low. Several other publishers have signed similar deals with the online retailer, NYT notes. Financial details of the deal between Amazon and HarperCollins are unknown. This new agreement is expected to go into effect sometime this week, reports Reuters. Article printed from InvestorPlace Media, https://investorplace.com/2015/04/amazon-harpercollins-amzn/.